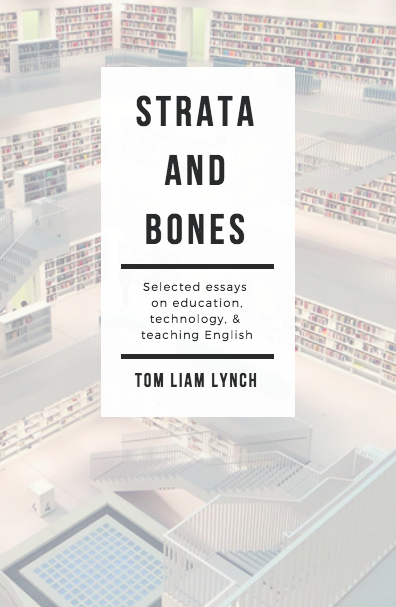 Tom Liam Lynch is Assistant Professor of Educational Technology at Pace University in Manhattan. A former English teacher and school district official for the New York City Department of Education, Tom led the implementation of a $50M online/blended learning program in over 100 schools called iLearnNYC. He also designed and guided the initial implementation of WeTeachNYC, a digital resource repository and learning environment for the city’s 80,000 teachers. Tom’s research sits at the intersection of software theory and English education. Currently, he is examining the relationship between K-12 computer science and literacy. His book The Hidden Role of Software in Educational Research: Policy to Practice was released by Routledge in 2015. Other publications appear in leading academic journals, including Berkeley Review of Education, Research in the Teaching of English, Journal of Adolescent and Adult Literacy, English Journal, and Changing English. Faculty Lead for Innovation, Pace University, School of Education. Led visioning and strategic planning with faculty and leadership. Implementing technology infrastructure for recruitment, retention, and ongoing relationship building with field, including CRM and cloud-based solutions. Integrating computer science education into all programs in collaboration with faculty. Representing faculty perspective at senior-level meetings as needed. Assistant/Associate Professor of Educational Technology, Pace University, School of Education. Securing contracts for books on digital research methods and computer science education in K-12 settings. Building a community of English educators and teachers to support the exploration of computer science in ELA classrooms and teacher preparation. Teaching courses in English methods, educational technology, content-area literacy, the foundations of education, and computer science education. Serving on Steering and Curriculum Committees. Adviser, New York City Department of Education (Division of Teaching and Learning). Strategized, designed, and supported the implementation of a large-scale online/blended professional development ecosystem for the district’s 80,000 teachers. Secured $5M in philanthropic funding. Innovative Literacies Specialist, New York City Department of Education (Division of Academics and Performance). Supported the city’s teachers in understanding and integrating the Common Core literacy standards. Designed and piloted technology-supported approaches to large-scale online professional development. Secured $1.8M in philanthropic funding. Director of Implementation, New York City Department of Education (Division of Talent, Labor, and Innovation). Led a team of 10 implementation managers in supporting over 100 schools implement online learning models with K-12 students as part of iLearnNYC, an initiative in the district’s Innovation Zone (iZone). Brokered conversations between IT teams and educational business owners. Implementation Manager for first six months. English Teacher and Education Technology Coordinator, New York City Lab School for Collaborative Studies. Designed project-based learning experiences for and with 9th and 12th grade students. Coached colleagues in the use of instructional technologies and advised school leadership on technology strategy for instruction, operations, and communications. Lynch, T. L. & Gerber, H. R. (2018). The ontological imperative when researching in the digital age. International Journal of Multiple Research Approaches, 10(1), 112-123. Behizadeh, N. & Lynch, T.L. (2017). Righting technology: Theoretical misalignment and technological underperformance of large-scale writing assessment. Berkeley Review of Education. Lynch, T.L. (2016). Below the screen: Why multiliteracies research needs to embrace software. English Journal, 106(3), 92-94. Gerber, H. & Lynch, T.L. (2016). Into the meta: Research methods for moving beyond social media surfacing. Tech Trends, DOI: 10.1007/s11528-016-0140-6. Lynch, T.L. (2016). Letters to the machine: Why computer programming belongs in the English classroom. English Journal, 105(5), 95-97. Lynch, T. L. (2015). Where the machine stops: Software as reader and the rise of new literatures. Research in the Teaching of English, 49(3), 297-304. Lynch, T. L. (2015). Software's smile: A critical software analysis of an educational technology specialist program. Contemporary Issues in Technology and Teacher Education, 15(4), 600-616. Lynch, T. L. (2014). The imponderable bloom: A multimodal social semiotic study of the role of software in teaching literature in a secondary online English course. Changing English, 21(1), 42-52. © Tom Liam Lynch. All Rights Reserved.